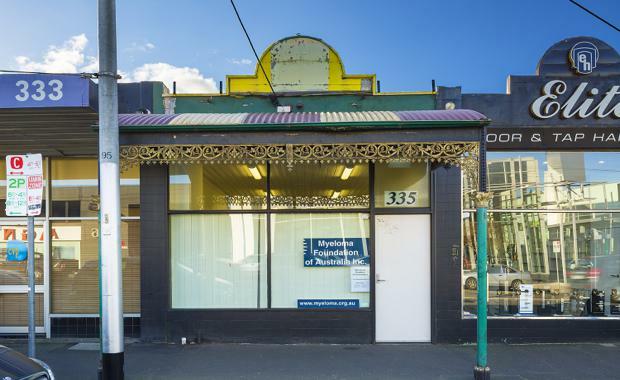 An owner-occupier has paid $1.07 million at auction, for a retail/commercial property at Richmond in Melbourne’s inner-eastern suburbs. According to selling agents, Teska Carson’s Anthony Choi and Michael Taylor, the 335 Swan Street property drew a healthy crowd from which four parties drove a very competitive bidding war delivering a great result for the vendor. "We had the majority of enquiry from owner-occupiers who ultimately outbid several parties who were interested in the property’s refurbishment/development potential," Mr Choi said. "Owner-occupiers have recently been very active with enquiry on any property selling with vacant possession, or even short term leases, and that is not surprising given the very favourable borrowing environment. "Located within walking distance of Burnley Railway Station the property comprises a 200 square metre, single level, building on a 200 square metre site zoned Commercial 2 with on-site parking and frontages to both Swan Street and Beissel Street at the rear. Mr Taylor said developers were also actively seeking properties with development potential particularly to take advantage of the enormous demand for inner city apartments. "Properties of this calibre and versatility in this location are highly sought after and given Melbourne’s nation-leading population growth the attraction to these properties has and will continue to intensify,’’ he said. The property was sold with vacant possession.